We’re very excited to announce that our new English learning app, English Courses, can be downloaded from the Google Play Store. The app, which has been 2 years in the making, improves communication between students and their English-language school, provides all relevant course information as well as including features that help students improve their English. 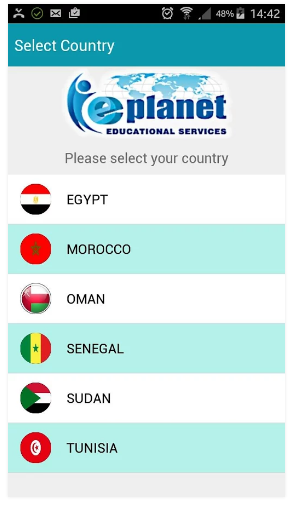 Students can message their course provider at the touch of a button, chat to fellow E-planet students, and access a wealth of information related to their courses: announcements, test and homework scores, payments, course times and dates, progress and lessons attended. Within the same app, students can improve their English skills. Students have access to a phonemic chart where they can listen to the most common English sounds, record their voice and receive a score for their pronunciation. They can see and listen to a list of irregular verbs, pronounced by a native speaker. Voice recognition technology is also used here to test a student’s pronunciation. As well as these extra features, students have access to materials from their current courses such as listening tracks, videos, a dictionary, and an interactive course book. 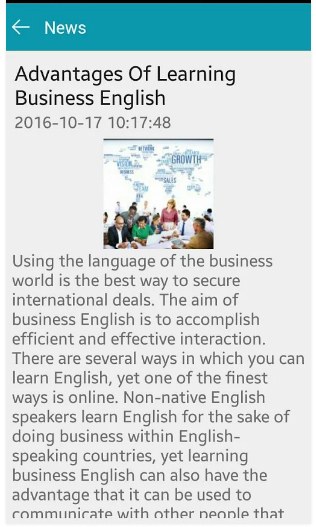 The app is an ideal way to help both students and schools manage their English courses and encourages students to study by themselves. 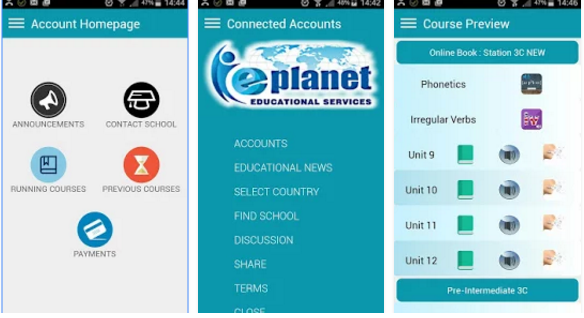 Initially, the app will only be available to current E-planet students but in three months time, anyone will be able to download the app and take a free placement test. After taking the test they can access a free e-learning course appropriate to their level.